Sand and stones, washed down by Taklai River, has blocked the head channel of the country’s longest irrigation channel in Sarpang. 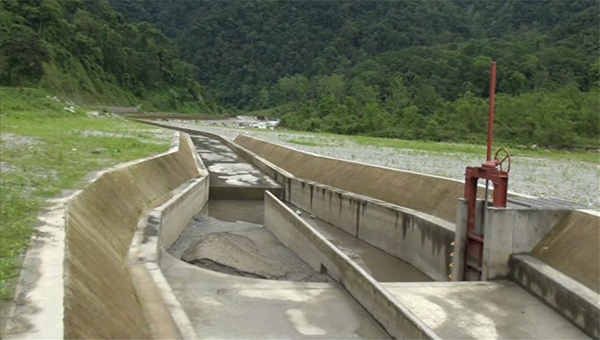 Taklai irrigation channel was restored two months ago, with a grant assistance of Nu 500 M, from Japan. The blockage is stopping water from flowing into the channel. This could delay paddy transplantation, according to the farmers of Chhuzanggang and Serzhong Gewogs. The channel was to benefit close to 400 villagers. The farmers say they were assured a reliable water source for irrigation when the channel was restored in April. “When it is time for work, we don’t have water. How will we sustain our life? It is a big problem for us. We have children to look after and we do not get salary at the end of the month,” said a farmer from Serzhong, Phuntsho Wangmo. Another farmer from Chhuzanggang, Tsheten Dorji said if the block is not cleared in about two weeks time, rice production in their area will be hampered. “We haven’t been able to carry out paddy transplantation. We are already late for transplanting rice varieties like Kamja one and two,” said a farmer from Serzhong, Yeshi Dorji. When BBS team in Gelegphu recently visited the site, they came across a few villagers trying to see what can be done. The Dzongkhag Administration has been notified about the issue. According to the officials, since it hasn’t been even a year after the restoration of the channel, the problem will be addressed by Dai Nippon Construction, the company that took up the restoration works. DNC has already been informed about the issue and are expected to visit the site soon.